Welcome to the sample PfMP Exam Simulator. This is a free version with limited question, and it is designed to provide you with a sample of our larger exam simulator. There are 10 multiple choice questions here, and you have 15 minutes to take the test. The minutes/questions closely emulate the actual exam. Good luck and have fun. Note: PMI does not publish the actual passing score. 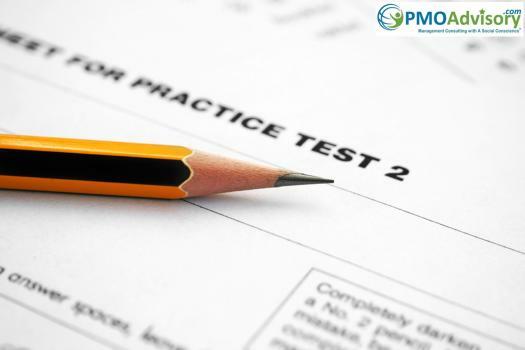 Based on previous experiences (for other tests like PMP and PgMP), the passing grade for this exam is established at 80%. Based on our experience, we believe if you are able to consistently achieve 80% or greater on the full exam, your chance of passing the actual PfMP exam is about 70%. If you are able to achieve 90% on the full practice exam, your chance of passing the actual PfMP exam is about 80%. Note: To prevent bots from scanning the exam, the correct answers will not be shown when the test score falls below the 50% threshold. When do you plan to take the PfMP exam? Are you interested it "do-it-yourself" approach" or attending PfMP preparation course(s)? How ready are you right now?